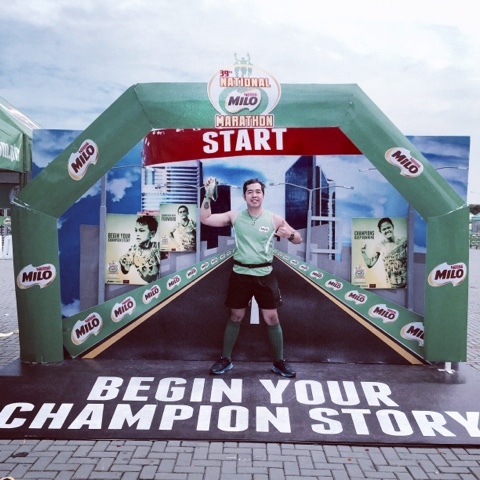 It's glad to be part for the second time around of the prestige running event, the Milo Marathon. And yes, I once more conquered another 21K finishing it strong in the finish line. Milo is best known producing champions in the different fields of sports. Therefore, it's a great honor to be part of it. And I am starting my champion story in my own little ways. Yes, I am now considering myself as a champion in the fields of blogging, running, and IT profession. I am continuously nourishing myselft, my talents to be more successful in my different aspects of my career. I'll share more of my Milo and running stories in my blog Runner Rocky (www.runnerrocky.com).